Ladies and gents it’s that time of the year again! With Easter weekend approaching we thought it only right to deliver another UK talent to the stage of Shooshh Brighton! One of the hottest up & coming MC’s in the UK, JAY1 will be joining us on Easter Friday 19th April! He’s made huge movements on the scene with his tracks Becky & Your Mrs and it’s needless to say we can’t wait to hear these live! Every week 2000 of you descend upon the doors of Shooshh Brighton for RUNWAY Fridays, making it the biggest weekly Friday event on the South Coast! 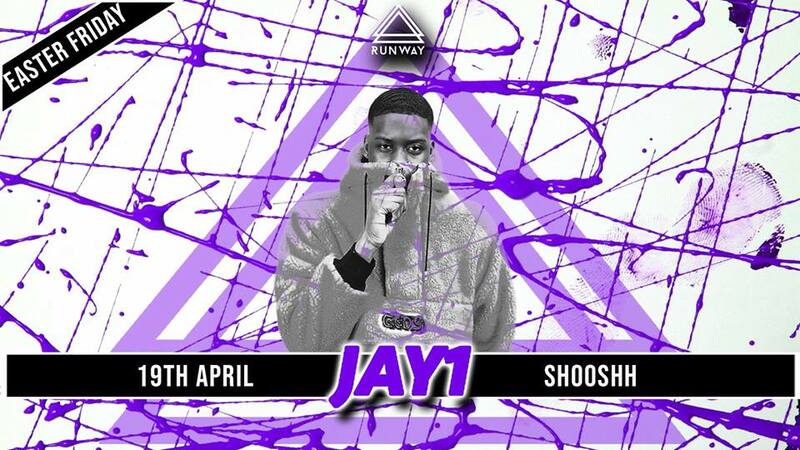 This entry was posted in News, Shooshh Brighton, Special Events and tagged Easter Friday, Jay1, Live, LIVE performance, Runway Fridays, Shooshh Brighton, UK MC.